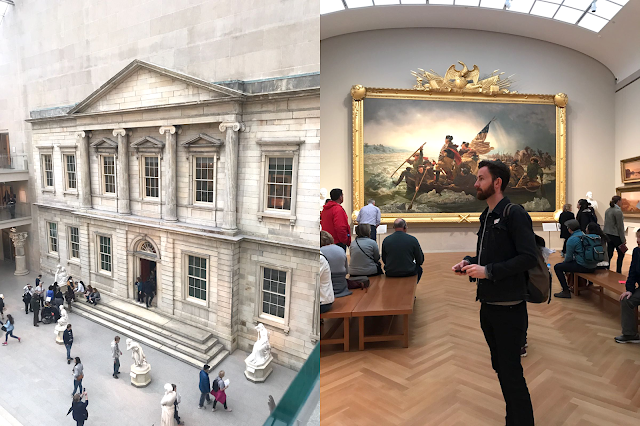 If you follow my Instagram (shameless plug, right this way...) you'll probably have seen the endless stream of pictures that have come from my trip to New York earlier in the year. It was my first trip there, in fact it was a trip I've dreamed about endlessly for years and since I've had so many people asking for tips that I just had to write this post. My boyfriend and I visited New York for around 9-10 days at the end of April and it was glorious. 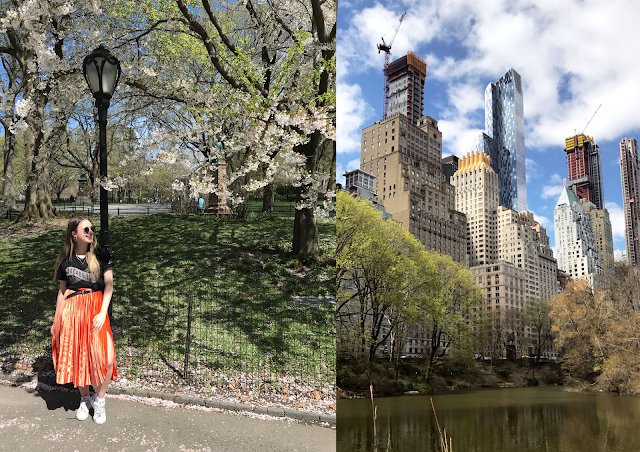 I took the time to properly switch off from work and relax, which is actually crazy for a city break as I usually try to squeeze as much in as I possibly can. I'm talking lots of leisurely brunches, strolls around the streets of NYC and so much fun. I am going to include the places we went to, but also a few spots we didn't make it to as well, because it's so blooming big I want to make sure you've got all of the options like we did. I actually did quite a lot of prep before we went to New York. I knew we had a lot of time there, and I really didn't want to come away realising there were things I'd desperately wanted to do but had forgotten about. I spent a lot of time reading blogs and watching vlogs to really get a feel of what I wanted to do and actually Joe did the same. If you're heading away with someone, I'd really recommend downloading the app Wunderlist, and starting a few shared lists with them to keep all of your ideas about what to do and where to go in one place. We separated it into categories ie. things to do, where to eat/drink, shops etc. and kept adding to it in the run up of the trip. Just before we went, I found the app Pinbox, which I swear has changed my life travelling. It is essentially a map app, where you can create different maps for different trips. You drop pins on specific places and it's a great tool to see on a map where you want to visit. I colour coded each type of destination ie. bars, restaurants, shops, museums etc. and saved them all to look at when we were there. The best bit is that once you're in a location, the map shows you where you are and you can see what pinned spots are nearby. This is great if you don't want to have a 'schedule' but you can see what is where in relation to where you're going. Perfect if you end up hangry but don't want to just end up anywhere. There's no point in missing out on that Instagram opportunity, eh! 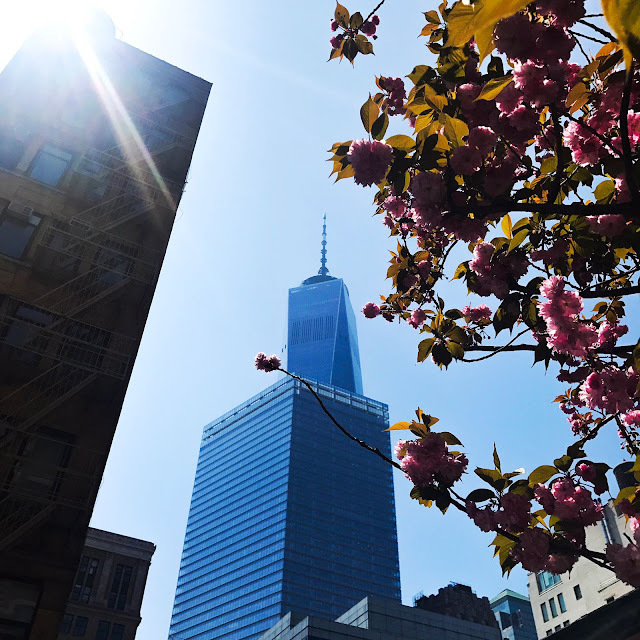 There are so many different parts of New York so it's definitely worth doing a bit of research into the right place for you. 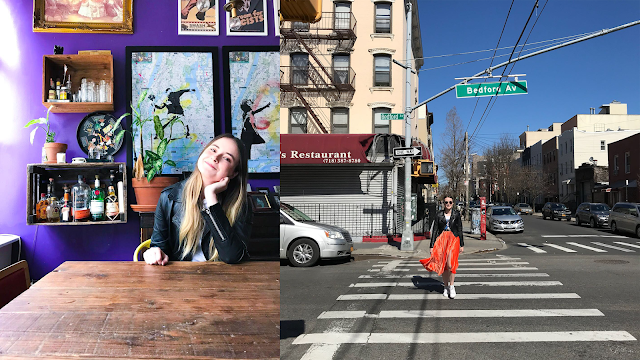 We chose to stay in Williamsburg in Brooklyn and I couldn't be more happy with that decision. It's full of super cool bars, shops and restaurants and is the perfect place to wake up every morning as getting into the city is so easy via the subway. There's no doubt that staying in New York is incredibly expensive, so we opted for an Airbnb. We found a cute little flat in Williamsburg, near Bedford Ave (linked here). It was a lot more affordable than most hotels we found and we loved having our own little space in the city. Whether we wanted to have a lie in, make dinner ourselves or get a takeout with a movie, this little apartment had everything we needed. And I adored the decor (see the purple wall - hello Friends vibes!). Transport is super easy in New York - there's lots of options. 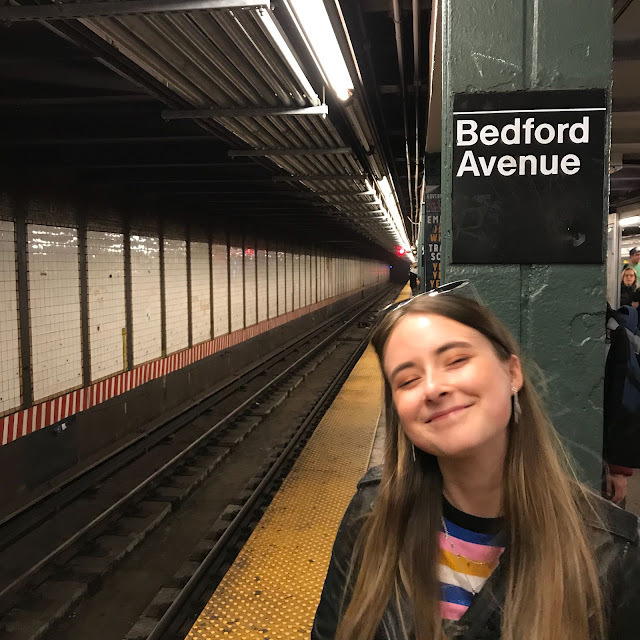 We got a cab from the airport to our Airbnb, but for the rest of the trip we spent most of the time walking or on the Subway - see my cheesy grin on my daily commute above - (you can pick up a ticket that will last you the entire week you're there, we did this and it was so much more affordable than individual tickets). For ease in some places, we did get Ubers but you can absolutely get away with not doing this. Well, this is quite a big point, there's so much you can do in New York. Here's our hit list and a few extras we didn't make it to this time but definitely will do in the future. I adored the MoMA. In fact, it's been a dream of mine to go for so many years. I studied art for years and we always talked about it but it felt like such a faraway dream back then. 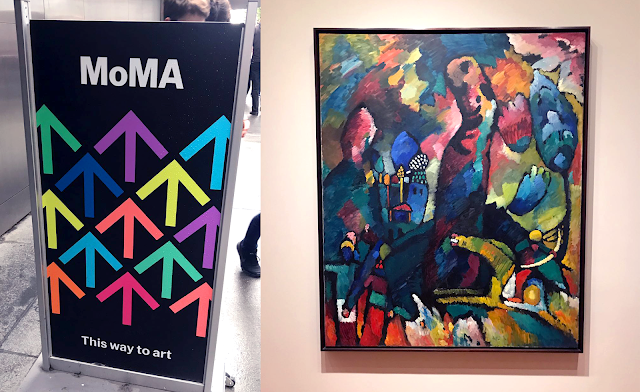 It's filled with so many incredible pieces and I always think it's great to go to a few galleries in the city you're visiting and I highly recommend this one for some modern pieces. The Met is one of the largest fine art museums in the world and is a must visit whether your into art or are a massive Gossip Girl fan. Yep, these are the steps. Stroll around all of the exhibitions and just take it in. 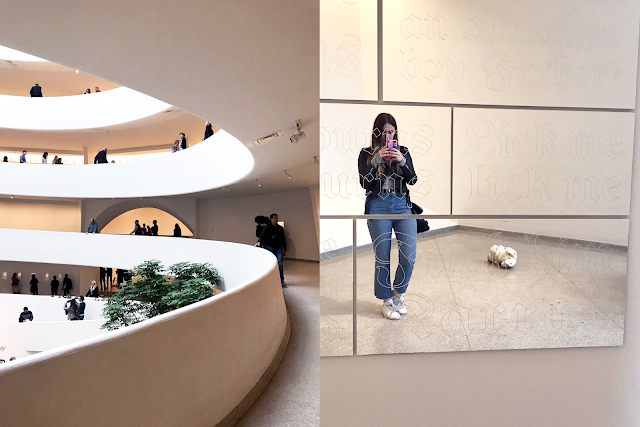 I had heard from many people that the Guggenheim in NYC was actually a little disappointing. I actually couldn't agree less. This was one of our favourites of the trip. From the beautiful architecture to the incredible modern pieces inside. This one was so worth a visit. It's not as big as the others so great if you've got a little bit of spare time. The most surprising visit of the trip. We weren't actually planning on coming to the Brooklyn Museum but someone mentioned it was worth visiting so we popped in on our last day. 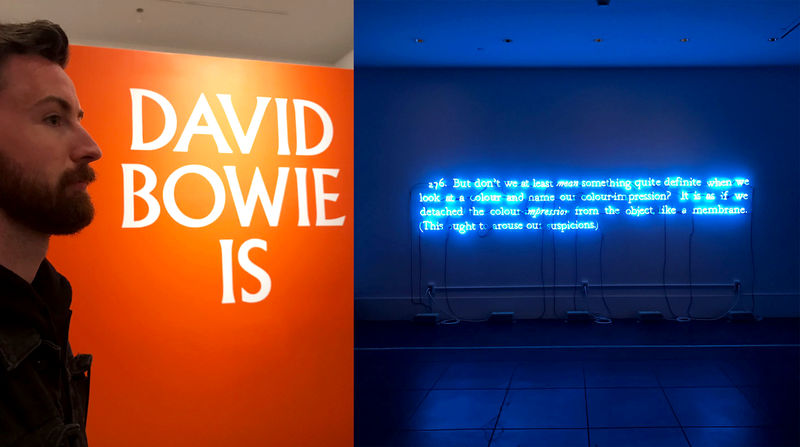 The David Bowie exhibition was on show there when they went so definitely have a look to see what is on when you're going, otherwise have a stroll around the permanent exhibitions while you're there. So worth it and the building is beautiful. People definitely don't talk about this enough. The High Line is a public part built on a historic rail line and is perfect for a dry/sunny day. The most perfect for a mid-morning stroll. It blew me away, it's super calming and is well worth a visit. Chelsea Market is a gorgeous indoor food market. Go here hungry - there's so many great foodie options. If you're planning on walking the High Line, you can take a detour and head to Chelsea Market as it passes through. You can't go to New York and not visit Times Square right?! There's a little Strand Bookstore stand that sells postcards and stamps super affordably - highly recommend doing this and sending one home to a loved one! Such a cute little idea. Again another classic. We weren't actually planning on visiting, but it's very near a lot of the tourist hot spots so we made a detour for a quick stop in. It's also great if you're a bit peckish as there's a food court downstairs (we popped into Shake Shack, because you just have to). If you're looking for great views of NYC, the Top of the Rock is the perfect location. 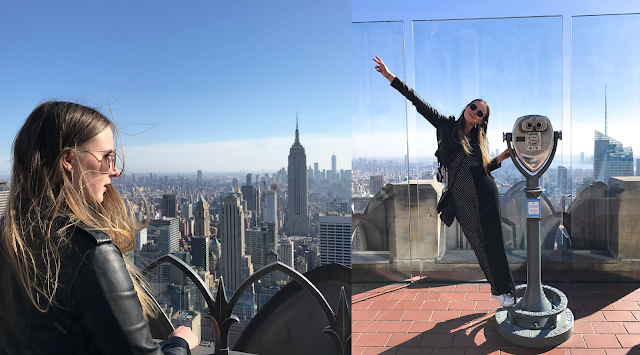 Everyone talks about going up the Empire State Building but by going up the Top of the Rock, the view includes the Empire State Building which is so incredible. Try going up on a day with clear skies and book ahead if you can to save a bit of queuing (though, do expect some queuing as this is tourist central). Potentially one of my most favourite parts of the trip. Central Park blew my mind. It is so big! We strolled the park on a couple of occasions because we loved it so much. It's super touristy but go on the row boats on the lake. It was just amazing. Stroll through the park and grab a pretzel or hot dog. Take a picnic, and just soak it all in. 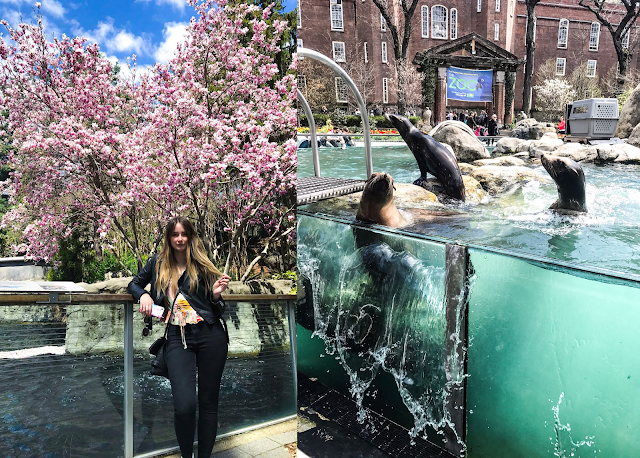 While we were in Central Park, we popped into the zoo they have there. It's a tiny little space but if you love zoo's like we do, it's definitely worth popping in. And try to go during feeding time, because it was just incredible. The seals and the snow leopards were the highlight. If you're in the area, definitely pop along to have a look. I've never seen a building like it! One of our highlights was going to an American cinema. We were there on the day the latest Avengers film was released so booked into the Williamsburg Cinema to see it. It was an amazing experience and so different to the cinema over here in the UK. From the incredible butter popcorn and cinema snacks to the interactive experience of cheering when certain actors come on the screen, it was so much fun and I'd highly recommend it. For a beautiful view of Brooklyn Bridge, I highly recommend stopping by Dumbo. 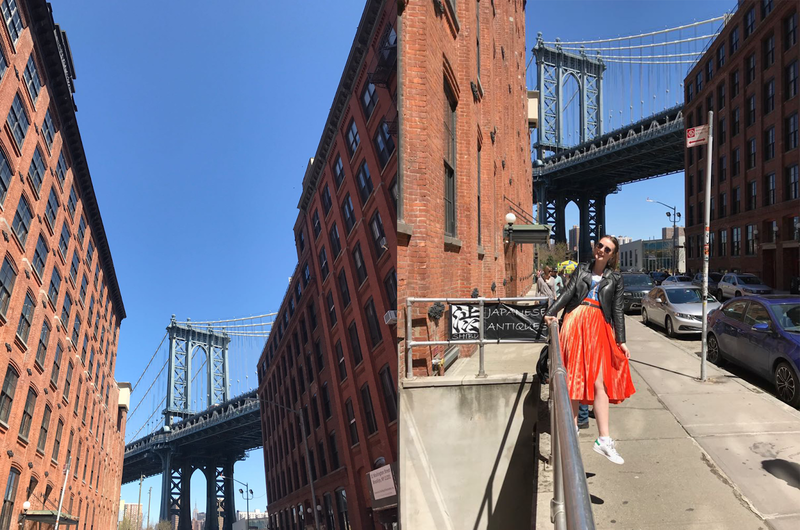 If you're planning on going to the Brooklyn Flea Market, go on a Sunday as it's in Dumbo and have a look at the view while you're there too. Walking across the bridge for the incredible views is so worth doing. 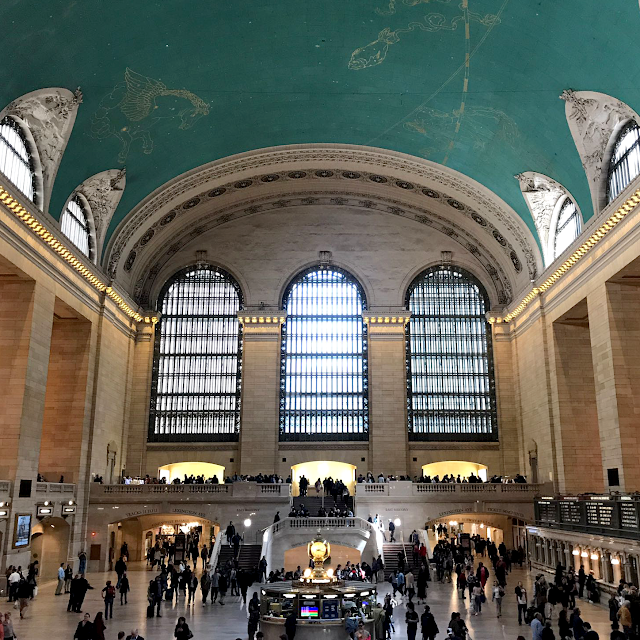 So many great photo ops and such a classic New York thing to do. This is 100% worth a visit while you're in the city. It's so moving and such a great memorial to see. Truly beautiful. When planning a trip to the Big Apple, make sure you save some cash to spend shopping while you're there. Trust me, there are some INCREDIBLE stores and you'll truly miss out if you don't. This was a surprise highlight of the trip and is well worth a visit if you can fit it in. It's filled with lots of vintage furniture, clothes, books and ornaments etc. . A perfect opportunity to pick up some memories for your trip! I bought the most adorable Heinz pickle pin from the 40's and Joe bought some vintage books. Very nice. Duh. I really don't need to go into this because you will just know. Beauty heaven in one place. Make sure you pick up some of the Sephora own brand eye masks while you're there. Mind blowingly good and super affordable. 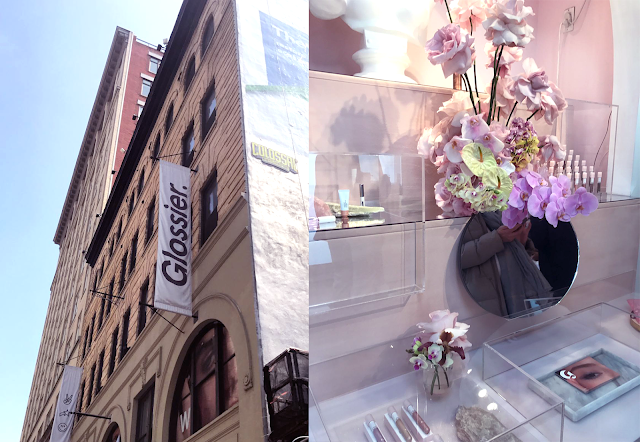 Oh yes, you have to stop into the Glossier Showroom while you're there. Joe came along with me to the Glossier Showroom, which I've dreamed about visiting for as long as it's been around and I stocked up on my all time favourite Boy Brow, swatched everything and picked up a few new favourites. I had to restrain myself from buying it all. Joe chilled on the seats they have at the side (well done Glossier, seats and mags for the boys is a GREAT idea). Boyfriend goals right there. He even said he spotted a couple of people taking a pic of him. I have actually dreamed of visiting Bath and Body Works for so many years. 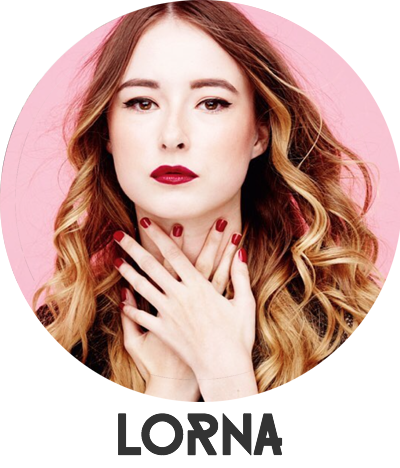 I rememeber watching Zoella hauls (and basically every other YouTuber) back in the day reeling off all of their new buys from the store and it's actually been ingrained in me ever since with a massive desire to shop in there. I actually was quite restrained when in there, but I'd definitely recommend picking up a few candles, hand soaps and anti-bac hand gels while you're there. Seriously great and I'm wishing there was a way for me to get more while I'm back home! This female forward store is well worth a visit. Super pink, super instagrammable, Bulletin is the perfect spot to buy some gifts for your gal pals. Highly recommend. If you're into your music, then you have to go to Rough Trade. The perfect place to stock up on your Vinyl and pick up a classic piece of NYC Rough Trade merch while you're there. Prepare yourself if you're planning on popping to Century 21. It's essentially a better version of TK Maxx but I used it to pick up a tonne of Calvin Klein underwear as it was so affordable - so if you're into this too, it's definitely worth a look. Beautiful and delicate jewellery store in Brooklyn. I didn't pick anything up from Catbird but I can see why everyone does and raves about it. A super cool store filled with fashion and jewellery. Highly recommend popping in if you see one of these. You might just find some gems. Potentially the best bit? 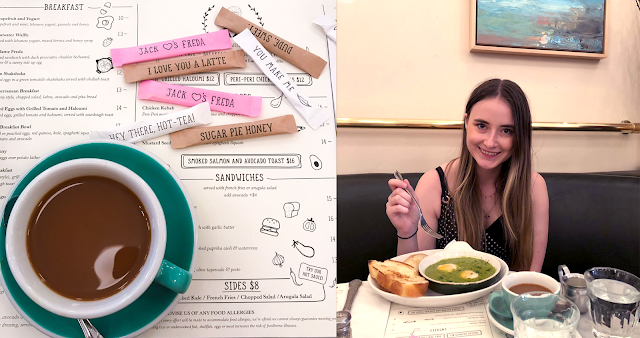 There are so many food and drink options in NYC that we didn't even touch the sides but here's where we made it to and a few extras I've heard are great (you may spot a lot of Brunch in here, we had a lot of lie-ins and when isn't Brunch a great idea!). Egg Shop actually was our first food stop of the trip and I was so excited to start on a high. A beautiful Instagram brunch/breakfast spot. If you're into eggs, you need to make a visit here. We went to the one in Willamsburg but there are a few around the city, so definitely go to the one nearest to where you're staying. There was a tiny queue but we got seated quickly, well worth the wait. 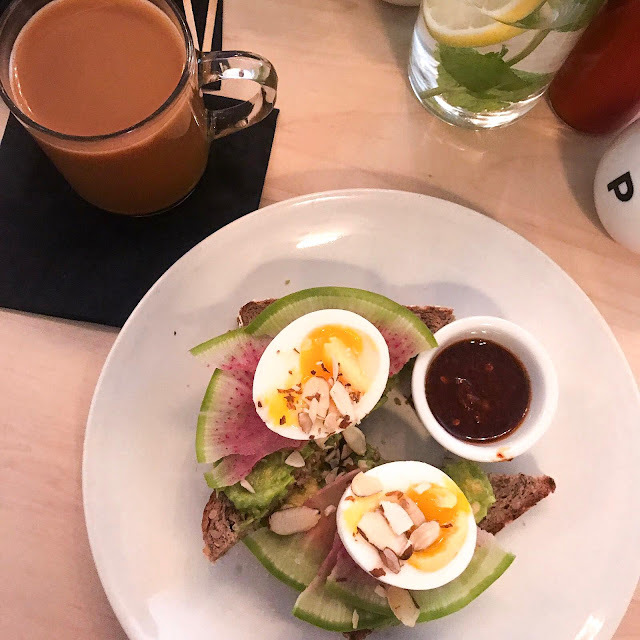 We ordered the Avo & Egg (a classic avo on toast, but with delicious additions like Watermelon Radish, Harissa and Tahini), the Fish Out Of Water (a smoked salmon with egg, cucumber, dill and mustard), a side of hash browns and lots of coffee, highly recommend! Sweet Chick wasn't actually on our brunch hit list, but it was nearby our apartment in Williamsburg and the queues outside each day got us interested. Plus the menu looked incredible. Sweet Chick is known for their chicken and waffles - and the best bit? They do a veggie option with veggie chicken and OMG the excitement for this was incredible. The chicken was made with Seitan and I adored it. It was a little heavy though so probably only made my way through half, but I was very excited to try this combo. Joe loved the meat version too! Oh boy, this place was incredible. Not only is Jack's Wife Freda Instagram heaven, the food is blooming great too. There's a couple of locations in NYC so worth looking to see which suits you best. We went for a late brunch and both opted for a tonne of coffee and their Green Shakshuka (2 baked eggs in a green tomatillo shakshuka served with challah toast) and holy moly this was incredible. If I could go back soon, I'd be there in a heart beat. A local spot in Williamsburg, Rabbithole is great one if you've been to all of the ones on your hit list already. I wouldn't rush back here, but for a great simple brunch it was good, especially if you're hungry as the portions were a great size. We had an omelette and the eggs florentine which were pretty good, but I adored the decor. Perfect for a chilled brunch. My absolute favourite brunch of the trip. Sunday in Brooklyn , in Williamsburg does the most beautifully flavourful food. If you have a super sweet tooth you must go for the Malted Pancakes with Hazelnut Maple Praline and Brown Butter. It's delicious but enormous so if there's a few of you, maybe get these for dessert and get something a little more savoury to start. I went for the fried eggs on a spiced scramble on top of a beautiful flat bread. 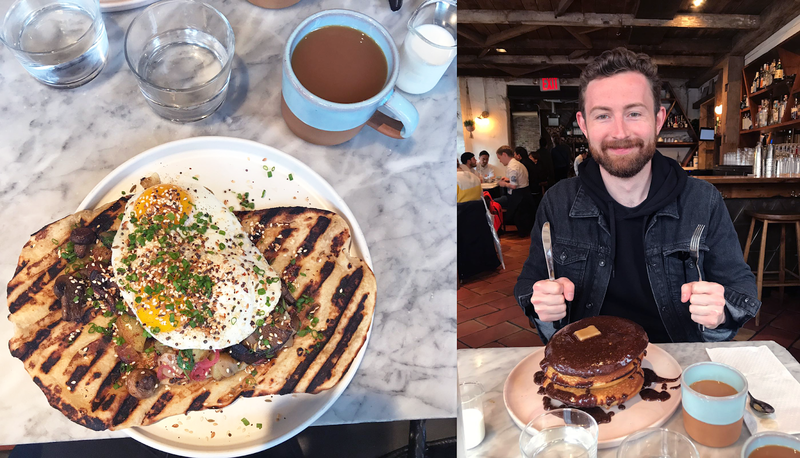 This was seriously incredible, and I would actually potentially say it was the best brunch I have EVER had. The lunch and dinner menu also looks great here so I'd definitely return for this on my next trip. Another seriously great brunch/lunch spot if you're looking for flavour. Cafe Mogador is a Morrocan-inspired restaurant in Williamsburg and we were really impressed. After a week of, we must admit, being a little on the unhealthy side, this is a great way to get a bit of vegetables back into your diet. I had the Halloumi Eggs which was roasted tomato, halloumi, greens and zahatar pitta with eggs. Joe went for the Middle Eastern Eggs which was hummus, tabouli, arabic salad and zahatar pitta with eggs. Seriously delicious and well worth a trip. 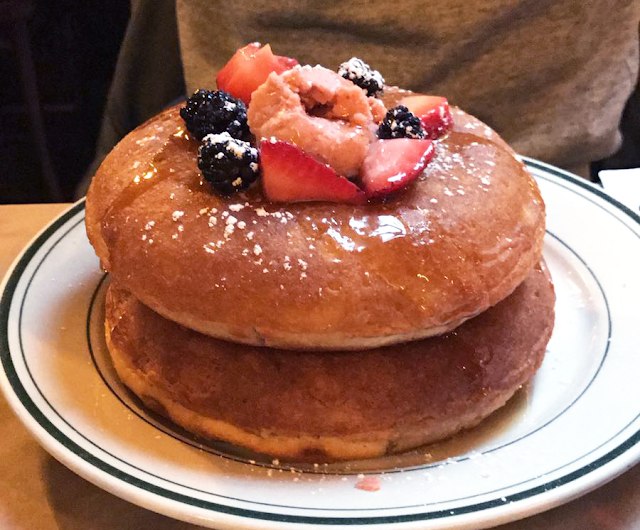 If you've got a super sweet tooth and want to try a different, less classic, pancake then Le Barricou in Brooklyn is definitely worth a trip. The Pancakes here are baked to order and are more of a cake consistency but are seriously delicious if this is your kind of thing. I went for the Florentine and it came with fries which is always a thumbs up in my book. If you're in a rush, I'd skip this as it's a bit of a wait for the pancakes and the service is quite slow but the food was pretty good. Great coffee, pretty good avo toast and super speedy service. I adored the chilled vibe of this Australian Coffee Shop, Sweatshop in Willamsburg and LOVED that they had merch everywhere. 12 Chairs Cafe was delicious and the perfect spot for a leisurely brunch in the sun. The cuisine is Israeli inspired and I adored trying something new out. We went for an Isreali Breakfast which included two eggs served with chopped Israeli salad, assorted cheeses and dips and some classic American Style Blueberry Pancakes. We adored this spot and would definitely return. Shake Shack does the best veggie burger in my book. Mushroom and lots of cheese made this spot a must visit when we got super hangry one lunch time. Joe went for the chicken burger and it was great. 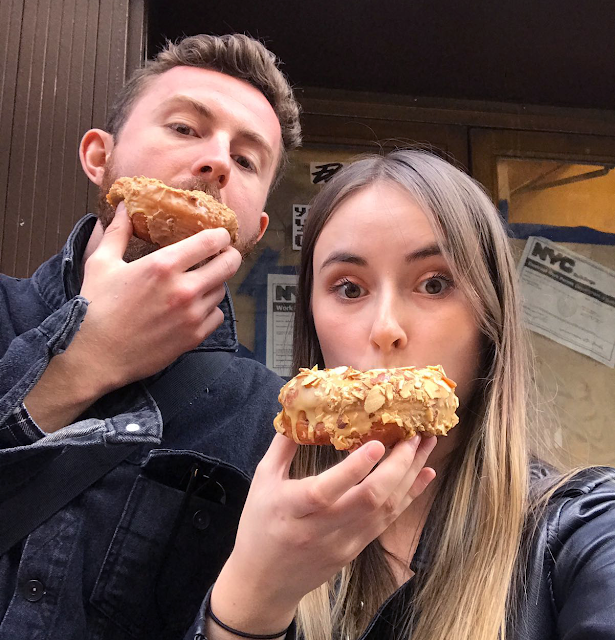 It's quick and super tasty and a seriously New York thing to do. Get the cheese fries - massive thumbs up from me. Oh boy, The Meatball Shop was seriously cool. We came here quite late after a trip to the cinema and was perfect for a late night spot of food and a cocktail or two. I adore choice when it comes to eating out and this place is perfect for that. You mix and match your choice of meatball (pork, veggie, chicken, etc), choice of sauce (tomato, parmesan creme, gravy, pesto, etc), and how you'd like it (with mash, on pasta, salad, veggies, in a sandwich etc) there are so many options and it was so lovely. Perfect fun date night spot or for seriously cool vibes with friends. One of my favourite finds of the trip, this was in Brookyln and was a little place we stumbled upon. 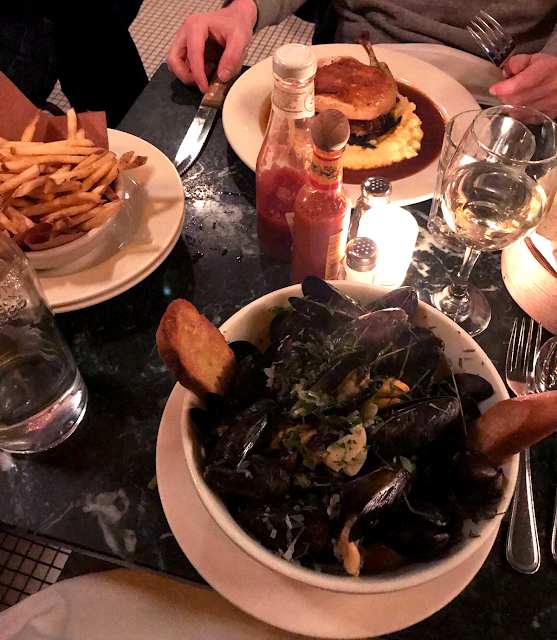 Juliette is a French Bistro and we loved it so much we visited twice. 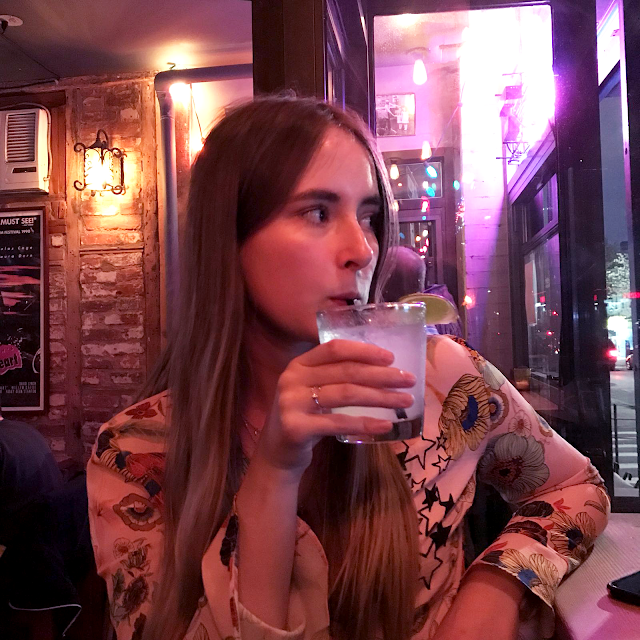 I'm going to talk about our dinner there in this section, but read on to find out about our delicious drinks and nibbles further on. If you're into your French cuisine then this is a must-visit. It was a very romantic location and without the need to queue to get a table, this was even better. Go for a full starter, main, dessert meal here. The Moules Frittes were incredible as was the Chicken (Joe recommends!). I have such fond memories of this trip. Now my trip to Lighthouse was my absolute favourite of the trip. 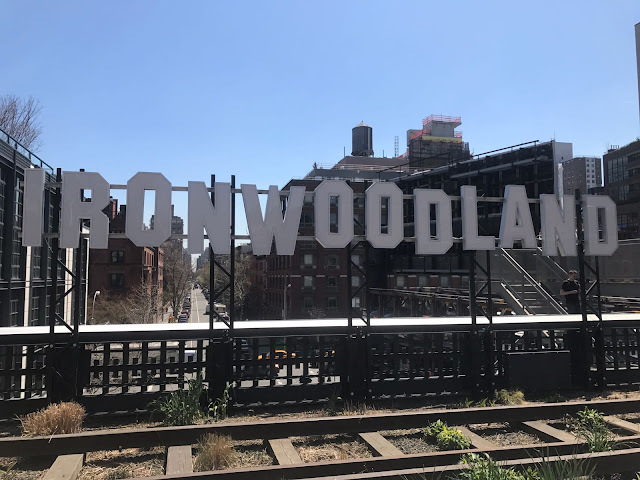 If you are staying in Williamsburg or fancy a trip to Brooklyn for the evening (which you must, must, must do) you should absolutely try to get a booking here for dinner. If you go anywhere on this list, make it here. Lighthouse is a healthy (ish) Farm-to-Table restaurant. There's a mix of small and large plates but I'd definitely recommend sharing everything and trying out a few things. Must try's are their Home Made Sourdough Bread, the Pickle Plate to eat while you decide, and finish with a Pa Pie - this was the best dessert we have ever tried. It's essentially a brown sugar pie, but it truly was incredible. So good that we seriously pondered over getting another slice. If only we had the room. Seriously dream of visiting here again. One of my favourite meals out ever. A quirky bar for film fanatics in Williamsburg. Videology is super cool. We popped in for the film quiz they have on but have a look online as they have a small screening room in the back and show films and have events in there so you might just get lucky. Like I mentioned before, we visited Juliette a couple of times. Once for dinner, but the first time we popped in for a couple of drinks and some nibbles. We sat at the bar of this beautiful French bistro and it was so chill. The food was delicious, we had a cheese board and some fried peppers, as was the wine. One of my favourite spots. If you are looking for a super fun date night spot or somewhere fun to go with friends, I highly recommend Barcade in Brooklyn. This was on our list but we ended up visiting here literally just before our flight home one afternoon as it was near to where we dropped off our bags to kill a bit of time. I actually wish we went without our bags as it would have been super fun to have a few more drinks and explore all of the old arcade games they have here. So much fun and such a great idea. The bar on the hotel of the Wythe Hotel has incredible views. If you're in the area and the sky is clear, definitely pop in. The drinks are expensive but if the sky is clear it's worth the view. If not though, don't bother as it's a little bit run down and the prices leave a little to be desired. Seriously dough-not (sorry, I couldn't resist) miss this spot. 100% it's the best doughnut I've ever had. Dough is perfect for a quick sugar fix if you're nearby, but well worth making the trip too. There's a few spots around the city, so have a look online to work out the best spot for you. But get yourself a doughnut, I adore the Dulce De Leche with Almonds, it's blooming incredible. Yup, you've seen it all over Instagram. Sprinkles Cupcake ATM is a must-visit and not only for the experience. 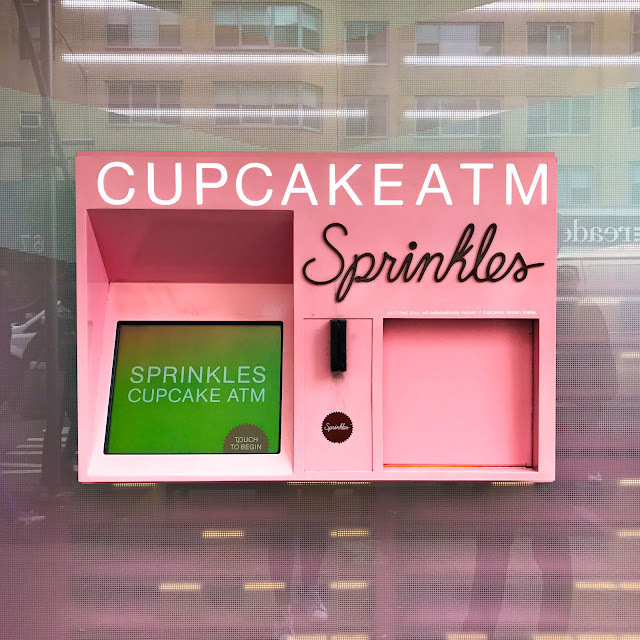 I expected a dry-ish cupcake, but I was seriously impressed. We went for Red Velvet and I recommend you do too - yum. I'm sorry, did I say INSTAGRAM HEAVEN. 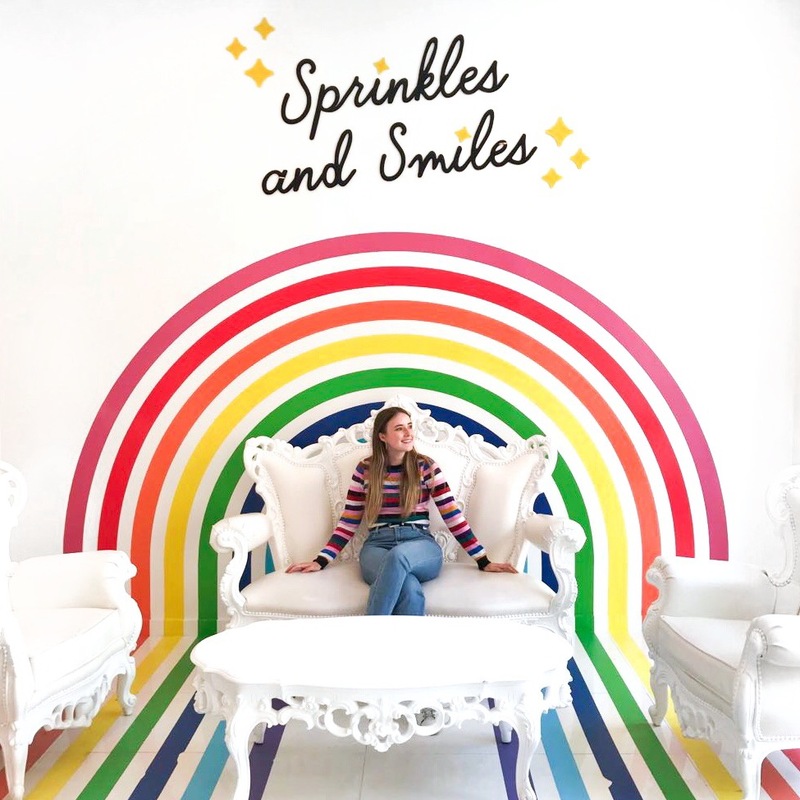 If you are looking for a place to get a colourful shot for the gram, then Flour Shop a must-visit. Pick up some of their delicious cake truffles while you're there. You won't regret it. 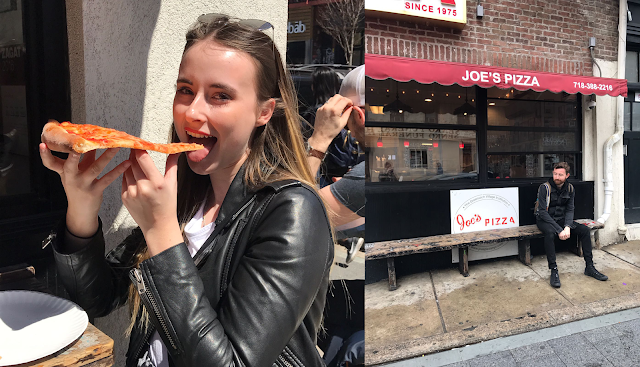 If you are a Pizza fiend like me, then Joe's Pizza is a must-visit. There's lots around the city so plenty of chances to get your pizza slice fix. You can buy pizza by the slice in a tonne of different flavours but the classic Margherita was always my first choice. We stopped here a few times, it's perfect for lunch or an afternoon or late night snack. Crikey, the things I'd do for another slice of this right now. Incredibly tasty and perfect if you're on a budget. 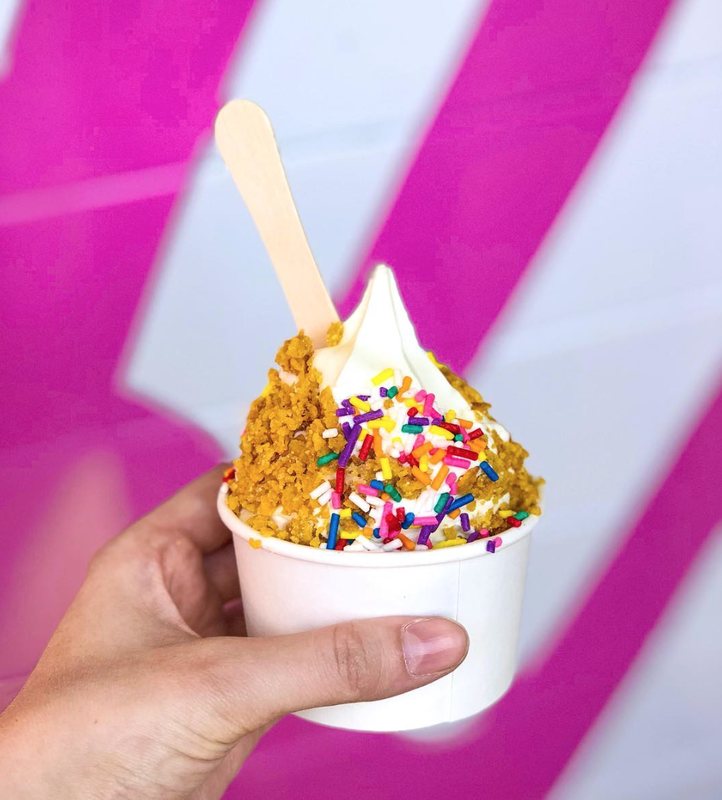 Possibly one of the most instagrammed food items in New York and there are multiple places around the city to get your Milk Bar fix. I'm sure you've seen this ice cream all over your Instagram feed, so naturally I had to take a trip to see what all of the fuss is about. Everyone raves about the cereal milk flavoured ice cream, I went for it with sprinkles and crunch but after I got the beautiful snaps, I have to say the taste left a lot to be desired... I'm sure it's an acquired taste and that maybe it wasn't just for me. But yuck. Though I hate to be that person, I was very glad to have gone even just for the lols and the Instagram snaps. Yep, that's me. Okay - that's this guide to New York done. I added in a lot of the hot spots we went to, and the ones we didn't fit in but do let me know in the comments where you love to go in New York! 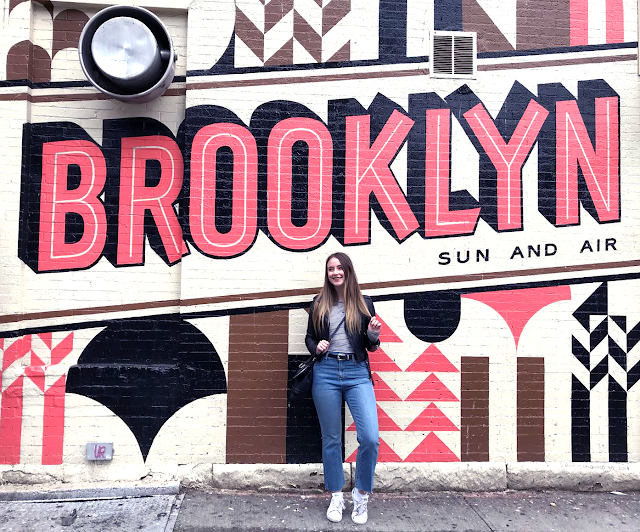 New York was one of my absolute favourite trips I've been on yet - from our trip to the Central Park Zoo in the sun, to all of the many brunches in Brooklyn, finding our favourite dessert ever at Lighthouse and strolling round some incredible art exhibitions, it was seriously a trip to be remembered. New York is one of the food capitals of the world and we can TOTALLY see why.